The mosquitoes carries grams of malaria, dengue, yellow fever, chikungunya, zica and many more deadly diseases in the world. Please don’t tolerate the mosquitoes infestation. Keep mosquitoes free environment and be safe you and your family. All the mosquitoes control in Bangladesh is not so difficult. Any one cane away form mosquitoes by following some precautions. Pest control should be a regular action for a community to get rid from mosquitoes. We Provide full prof Mosquitoes Control Service any where in Bangladesh. Usually Mosquitoes spawn in the stagnant water. People has to fully care full about he stagnant water. You have to clean and remove water from your flowerpots, jar, Old bucket, cavities, cans to stop Mosquitoes spawn. 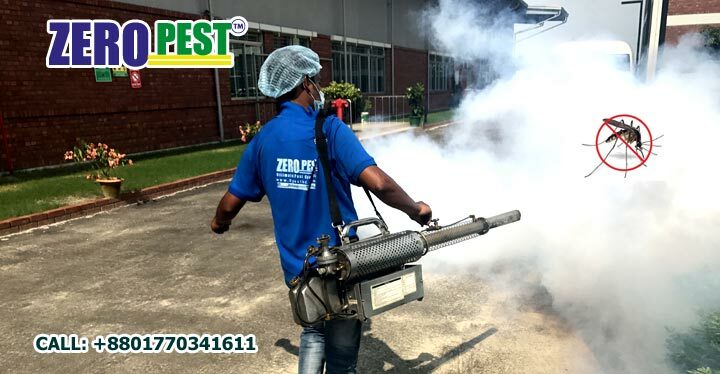 ZERO PEST Technicians have well trained and experienced about Controlling mosquitoes in Household, Factories and Industries, Offices and Commercial Spaces, Hotels and Resorts, Jungle areas, Open Fields, Lawns and Lacks etc. Mosquitoes Control is a continues process by applying various kinds of methods. ZERO PEST has many kinds of methods and technologies for controlling mosquitoes. We have change methods regularly for proper treatment of controlling mosquitoes. Zero Pest has been supplying all kinds of Mosquitoes Control Medicines, pesticides, Equipment and Accessories Retail & Wholesale.